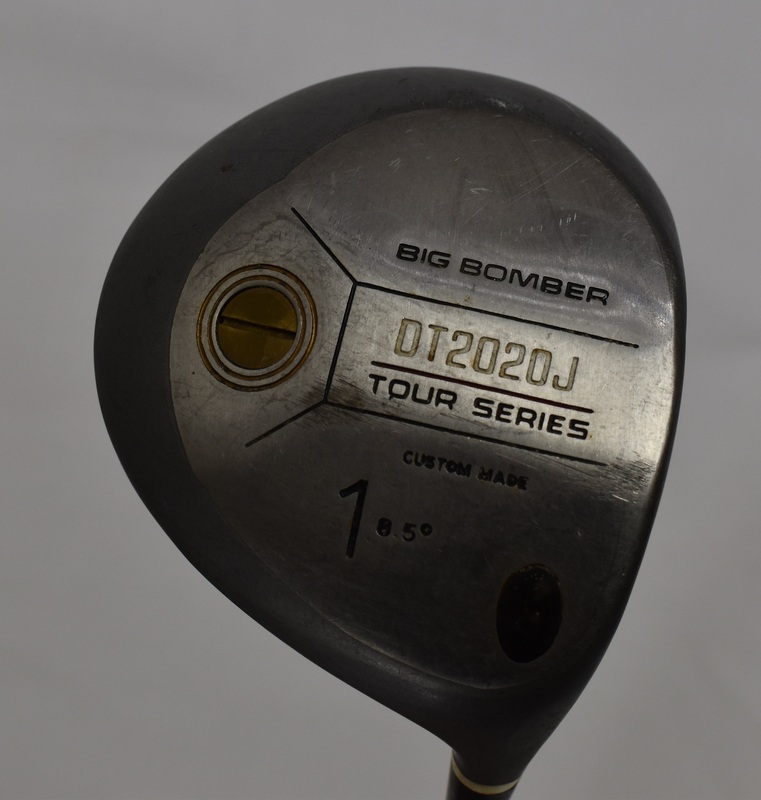 This lot features Sam Snead's "Big Bomber" driver. 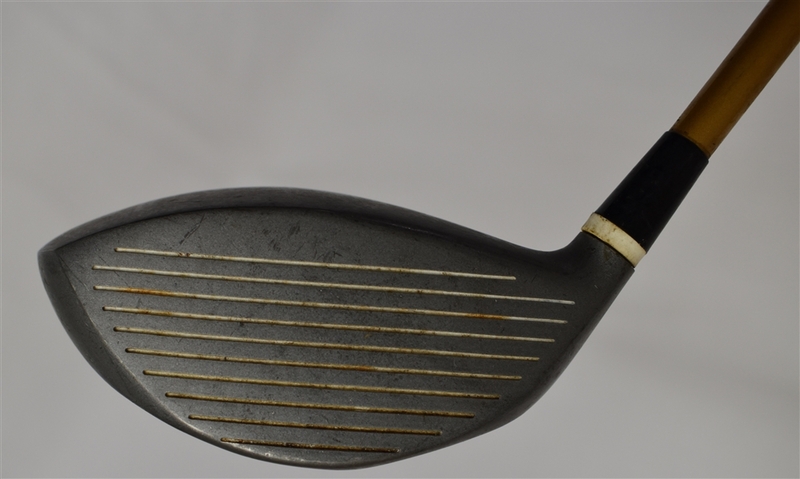 This metal driver is noted as model DT2020J "Tour Series" with Apollo Boron shaft and heavy use with a Sam Snead Greenbrier name tag on shaft. 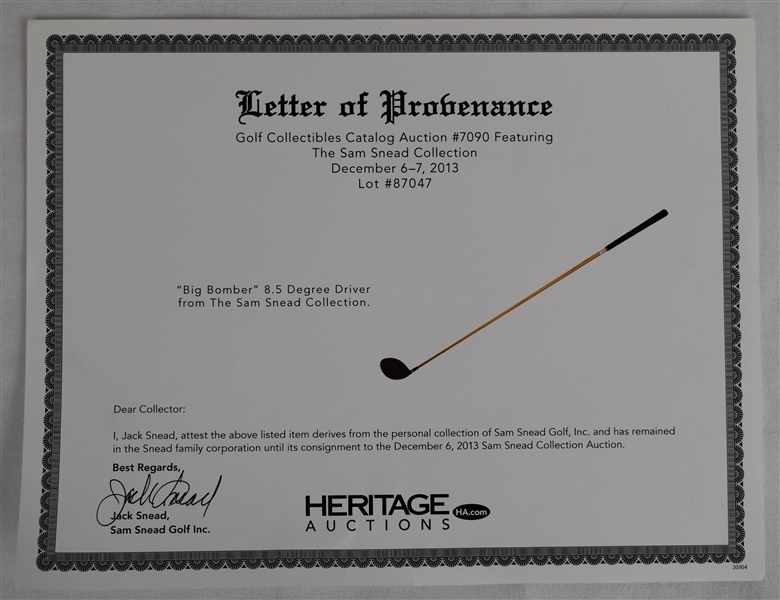 Accompanied by a Letter of provenance from Jack Snead.